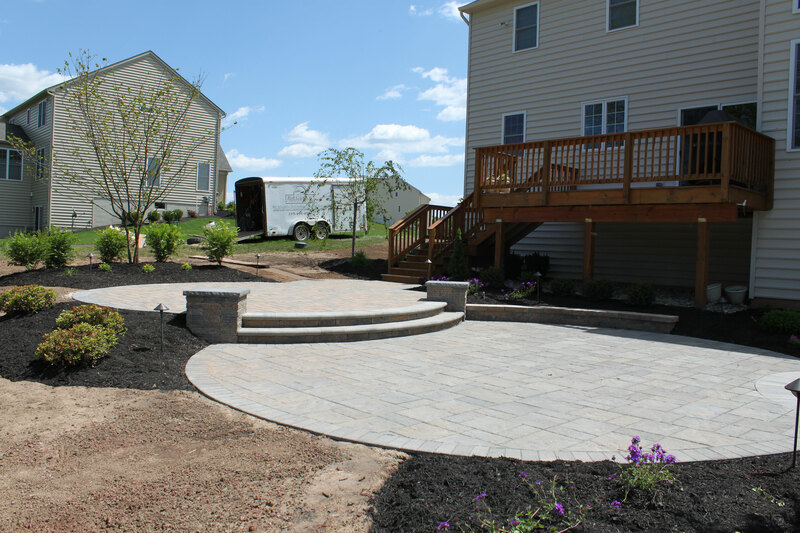 The challenge was to remodel a new construction home’s existing basic builder landscape package to add curb appeal. Our solution was to design beds to bring out the home’s architectural detail. 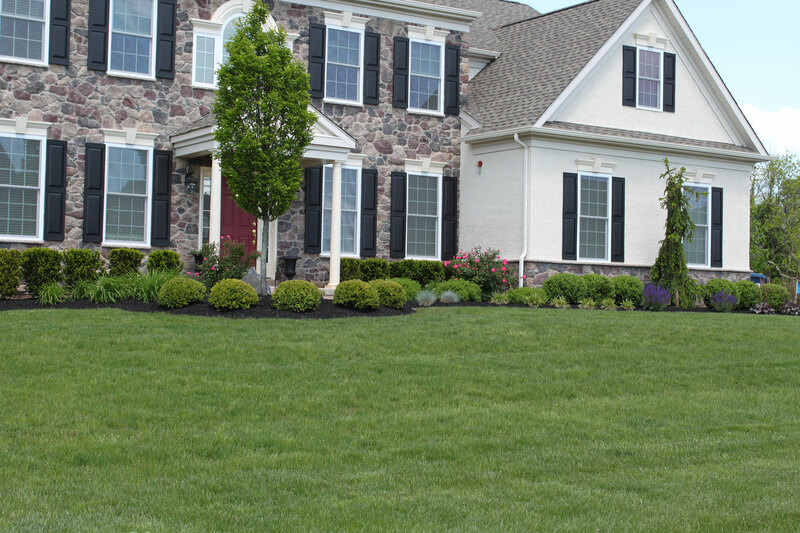 We installed a variety of flowering trees for color, balanced with low maintenance shrubs and flowering perennials to add seasonal interest. 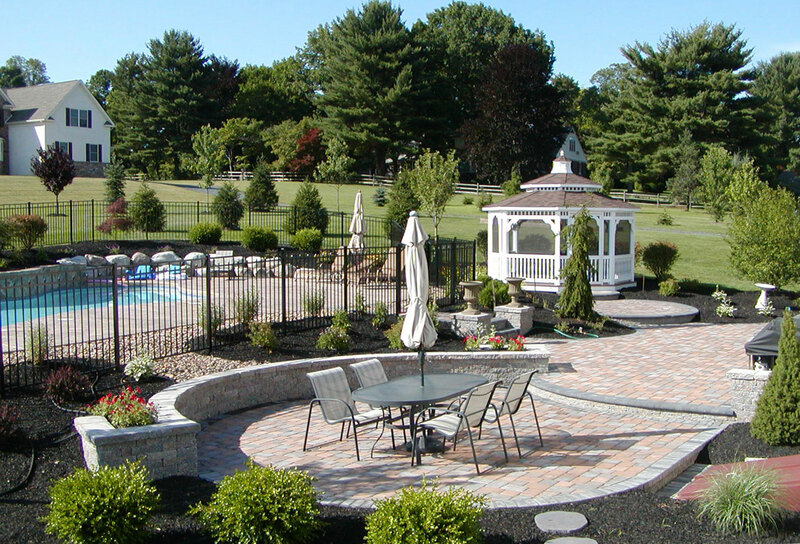 Homeowner was so thrilled with the outcome; they hired R&R Caddick to continue transforming the backyard with a multilevel paver patio. 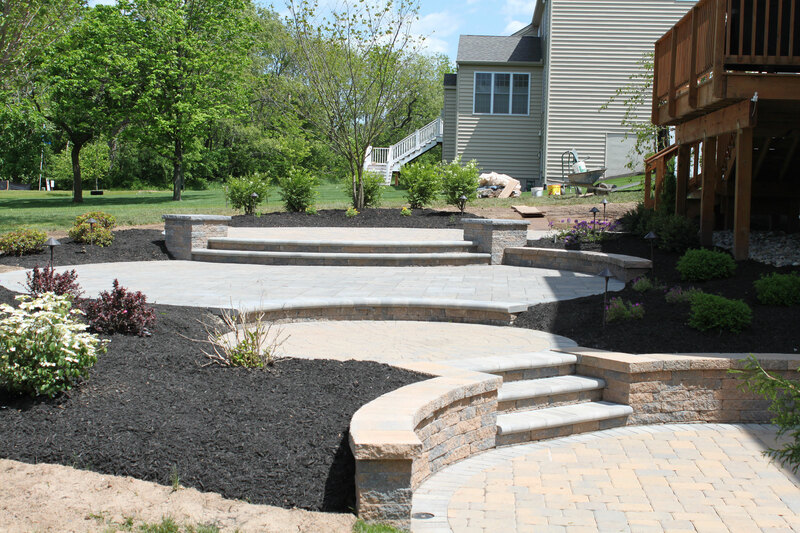 We constructed steps and patio landings that connected the deck to the hot tub located off the basement. 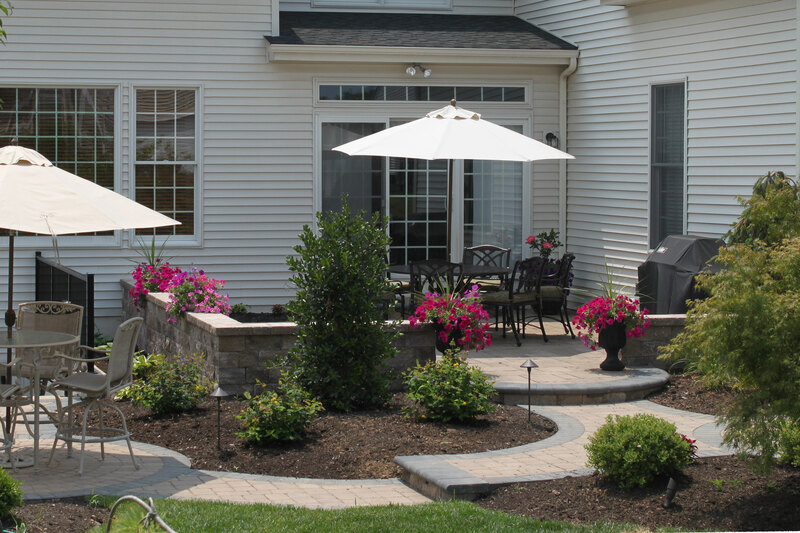 We landscaped around the patio using height, texture and color for the finishing touch to the patio. 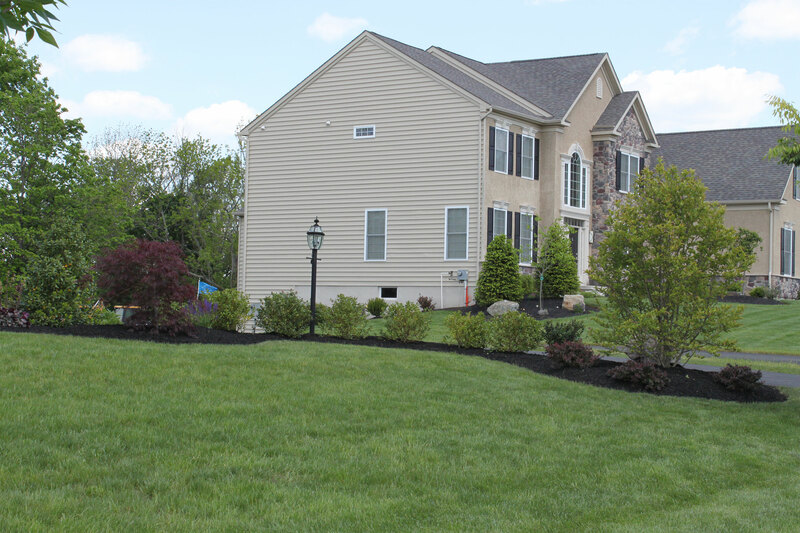 We installed low voltage Led outdoor lighting for nighttime illumination. 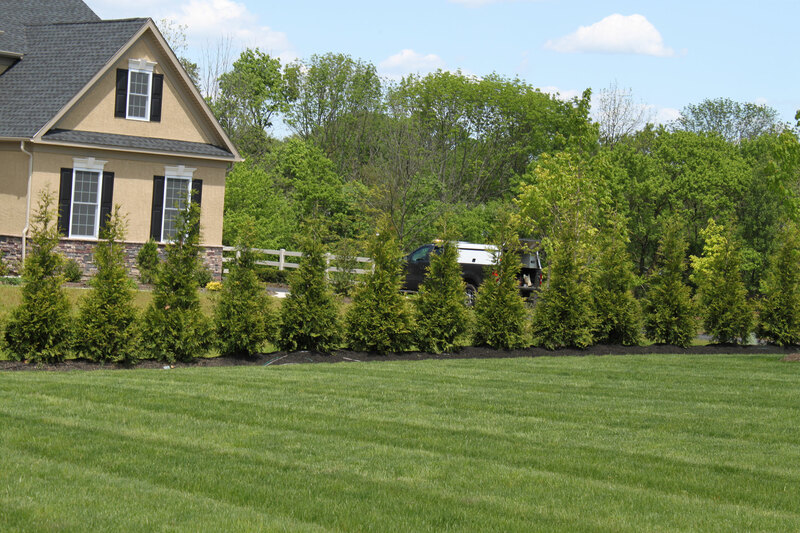 Additionally, we installed Arborvitae plants along the property borders to allow for privacy.